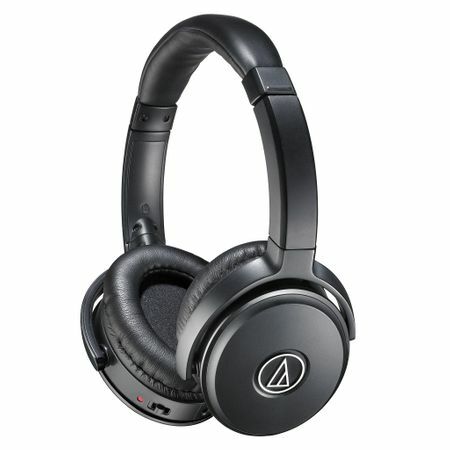 With Audio-Technica’s coveted high-fidelity sound quality, noise reduction up to 87%, and a detachable cable with in-line mic and controls for answering calls and controlling music, the ATH-ANC50iS provides a versatile, yet very affordable, entry into the world of QuietPoint®. The heavily padded earcups are designed to fit snuggly but comfortably over your ears, resulting in excellent passive noise cancellation. Flick the switch on the left earcup and the active noise-cancelling technology will kick on, effectively blocking environmental noise – use it when listening to music or to just give yourself some peace and quiet in noisy places.